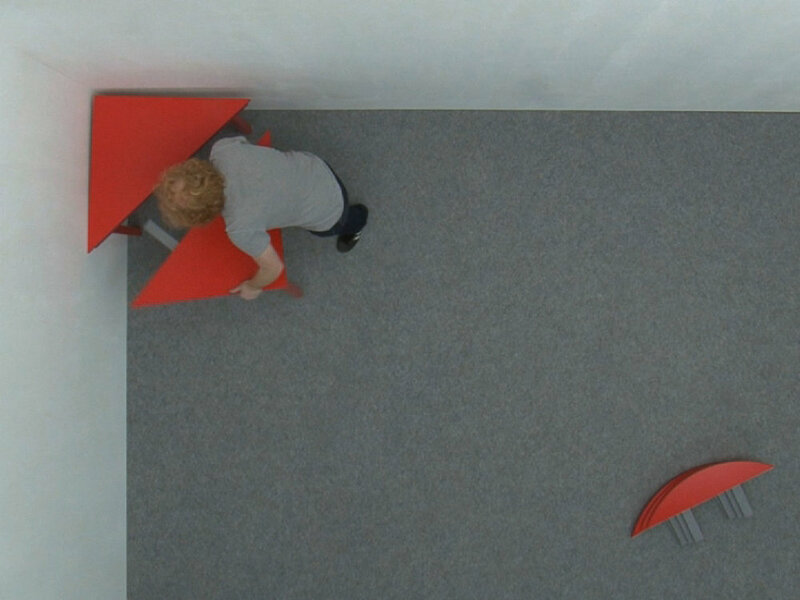 2012 | HD Video, Wood, paint and carpet | 4'34"
In this video the artist continuously changes the shape of a red dinner table. It starts out as a round table, but over the course of the video it changes into a square and finally into a triangle table. The table changes accordingly to a story Beckers tells about battling loneliness. His solution for loneliness is to create an environment that is only suitable for one person. An environment that he creates by throwing away all the things in his appartment that remind him of the supposed presence of others. This video was presented in the ServiceGarage in Amsterdam, together with the set and props with which the video was created.